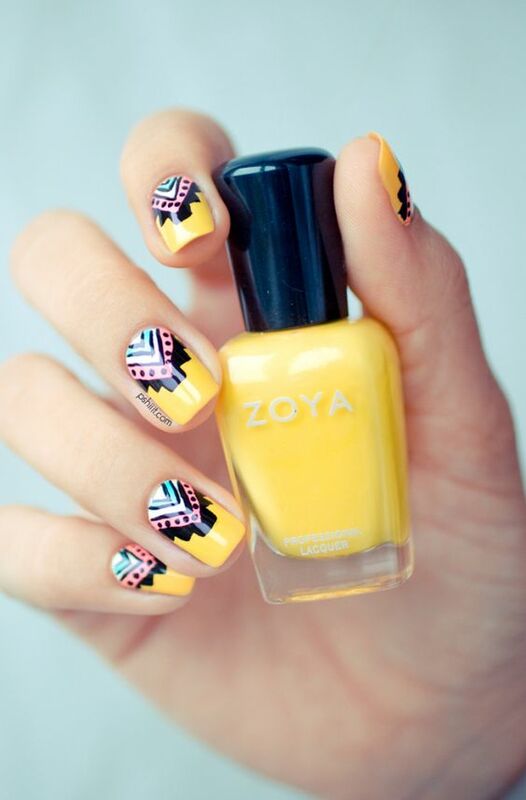 Summer is the perfect time to wear different patterns on your nails. And yes there are many of them to choose from. The floral, striped and nautical ones are the most popular for this time of the year. 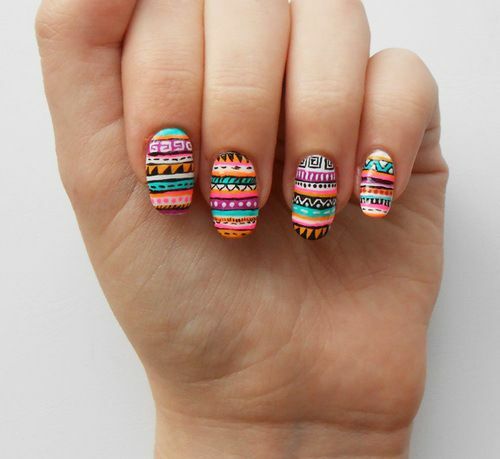 But also, we should not forget about the Aztec pattern. 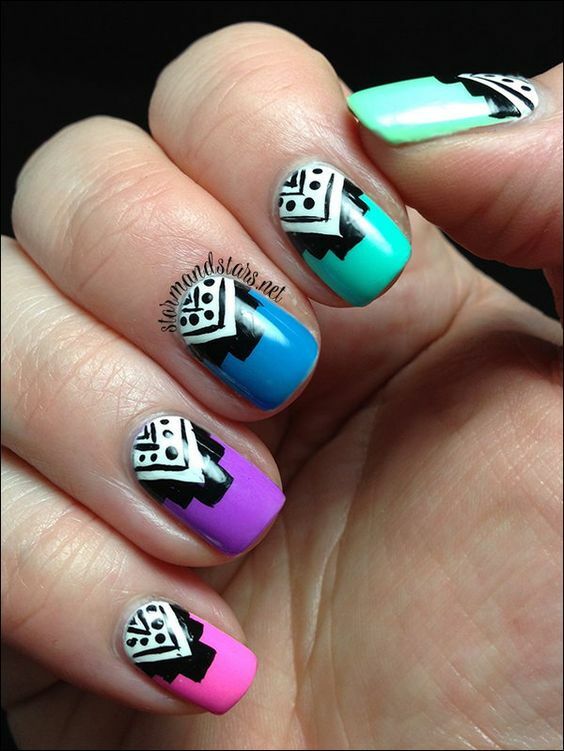 So, today we would like to show you 15 Colorful Aztec Nail Designs that you will love to copy. 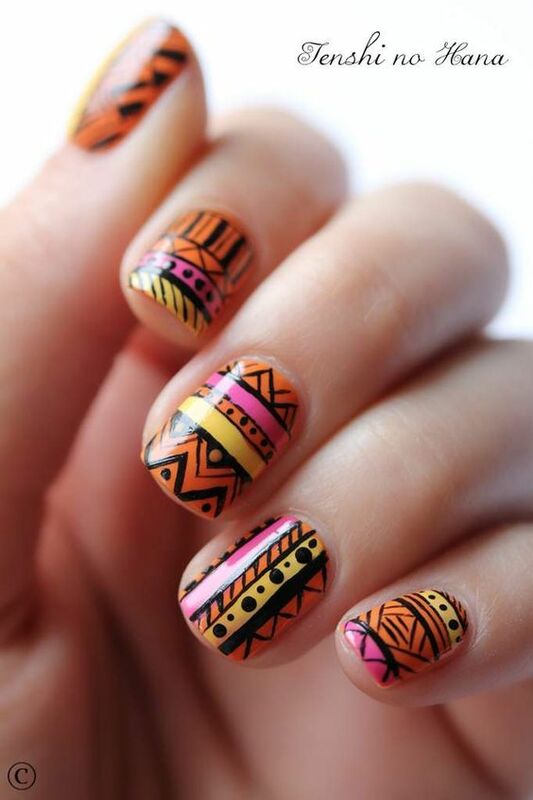 The tribal nail designs are perfect choice for the summer because they are quite eye-catching and you can use any color combo you want. 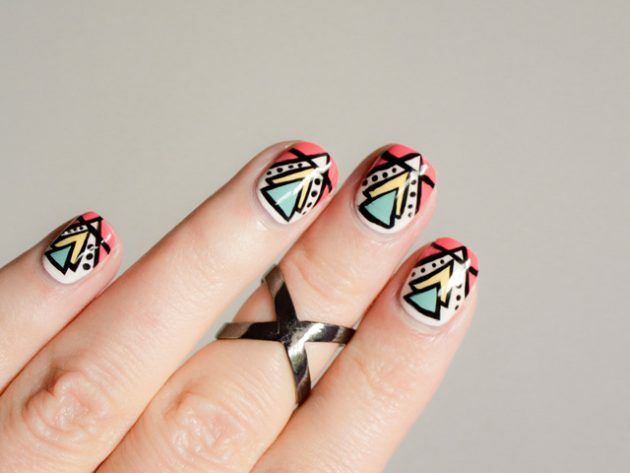 So, no specific rule for applying this pattern on your nails. Feel free to use any colors you want and also apply them in the way you want. 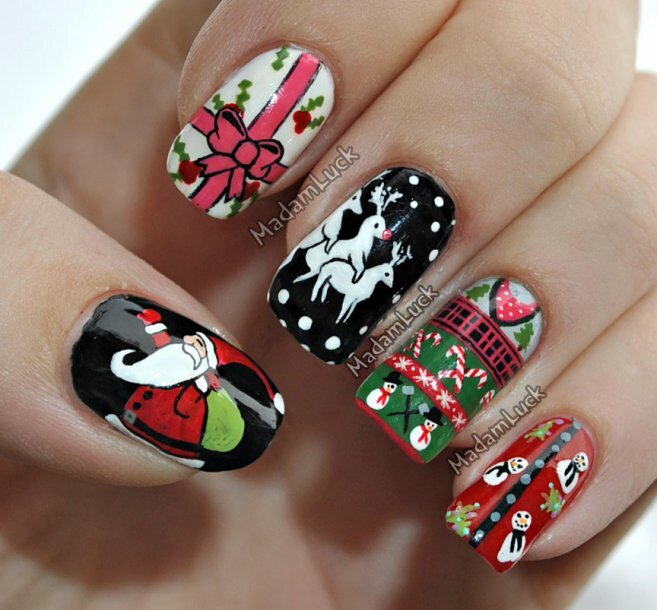 You can have the same design on each nail, or you can make a combo of several designs. 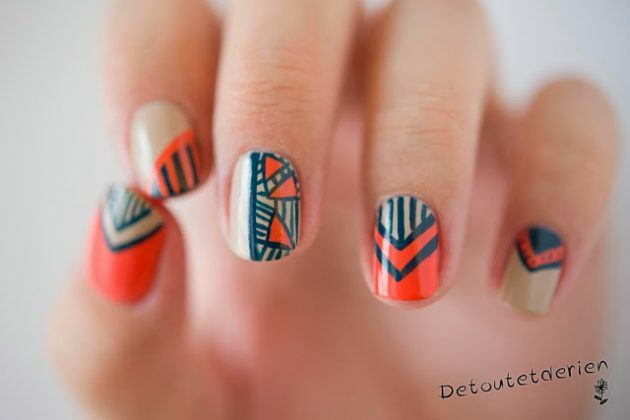 Or if you want to keep it more simple, you can apply this pattern only on one accent nail. And for making it look more eye-catching, choose neon colors. 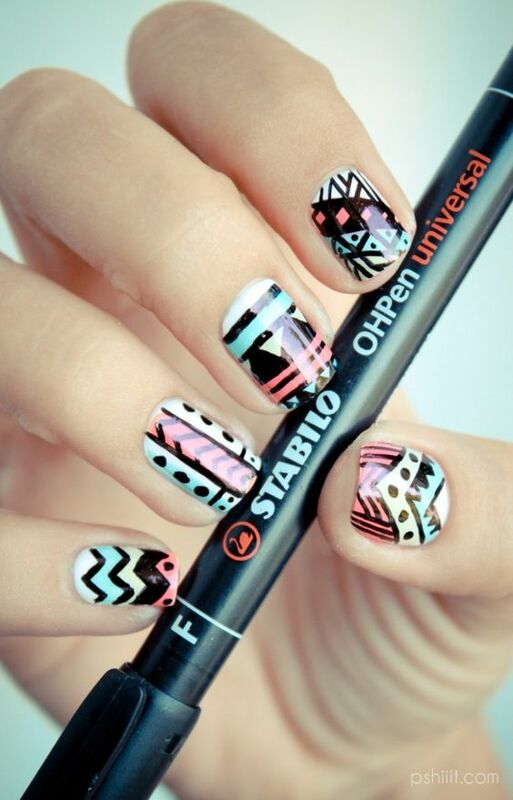 They look perfect on your nails when you have that beautiful Sun kissed tan. 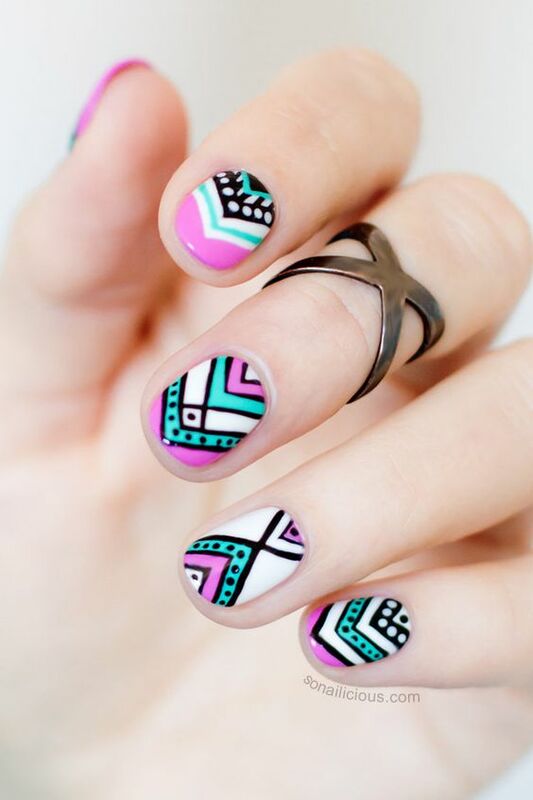 Use black nail polish for the tiny details of the Aztec pattern, to define them and create a contrast. 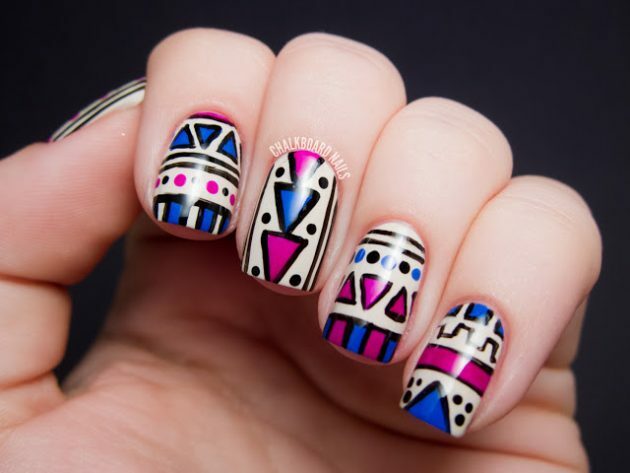 Scroll down now to see the Aztec nail designs that we have chosen for you today and choose which one of them you will copy first. Enjoy! 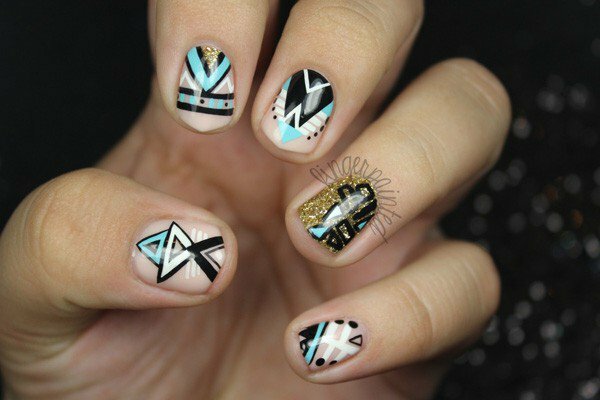 So, which one from the above Aztec nail designs did you like the best? 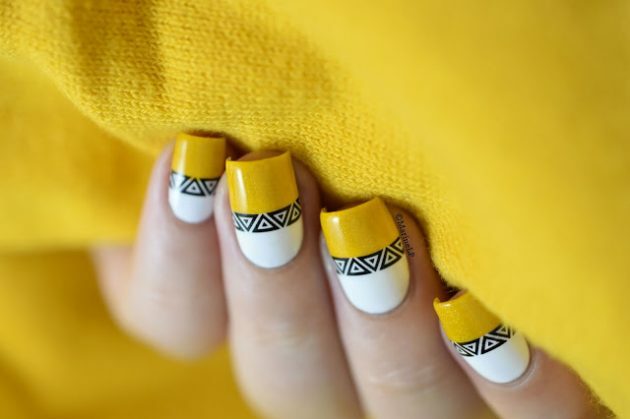 Tell us in the comments and of course, don’t forget to stay up to date with the content of Fashionsy to find many other nail designs for your inspiration.